Visit Catacombe di San Callisto and Piazza Navona for their historical value. Attractions like Palatine Hill and Colosseum make great kid-friendly stops. Change things up with a short trip to Villa Adriana in Tivoli (about 36 minutes away). The adventure continues: explore the world behind art at Vatican Museums, admire the striking features of Pantheon, pause for some serene contemplation at Church of St. Louis of the French, and see some colorful creatures with a scuba or snorkeling tour. 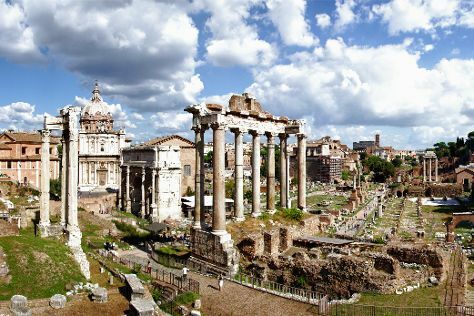 To find more things to do, ratings, photos, and tourist information, use the Rome trip itinerary planner. If you are flying in from Brazil, the closest major airports are Leonardo da Vinci–Fiumicino Airport and Ciampino–G. B. Pastine International Airport. Expect a daytime high around 37°C in July, and nighttime lows around 24°C. Cap off your sightseeing on the 19th (Fri) early enough to travel back home.